Troubleshooting ELISAs - Advansta Inc. 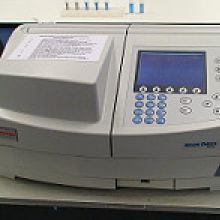 The enzyme-linked immunosorbent assay (ELISA) is a powerful technique for identifying and quantifying proteins. The assay is less complex than other assays, however problems can still arise when performing ELISAs. These problems can lead to little or no signal, or a high background that obscures the true signal. This troubleshooting guide lists common issues associated with ELISAs and solutions to these issues. Low signal can occur for a variety of reasons preventing detection of the target protein. Concentrate samples prior to adsorption to the plate. Use a sandwich ELISA to capture and bind the target protein to the well. Use an indirect detection method to enhance the signal. Titrate the positive control to determine the limit of detection of the assay. When using an ELISA to detect antibodies, the antibodies can orient improperly on the plate such that the binding site is no longer accessible to the detecting antibody. To properly orient antibodies, first coat the wells with a protein that binds to the Fc region of the antibody (Protein A or G). Titrate all antibodies used in the assay to determine the optimum working concentrations. Signal can be lost if wells dry out during incubations. Use sealing film or tape to cover wells. Poor signal can occur if the substrate is not handled or stored correctly. Make sure the substrate is not expired and has been stored correctly (some kit components require different storage conditions – separate components and store individually). Incubate the substrate in the dark if required. Do not use wash buffers containing sodium azide. Sodium azide can interfere with some substrates. ELISAs are dependent on temperature and the experiment should be performed using the recommended temperature conditions. For most assays this is room temperature (25°C). Do not run the experiment near air conditioning vents or cold windows. Make sure plates and reagents are at the correct temperature before use. Overwashing can disrupt antibody/antigen interactions or remove the antigen from the plate. Optimize the wash buffer for each ELISA. Shorten wash cycles by decreasing wash time or number of washes. If using a plate washer, check for microbial contamination in the lines, which can cause a decrease in signal. Prime the plate washer with wash solution to prevent contamination from previous user’s solutions. Short incubations can interfere with formation of antigen-antibody complexes and inhibit color development. Increase incubation time with antibodies to allow complex formation. High background results in a low signal-to-noise ratio and an inability to properly detect true signal. Several factors can contribute to a high background. Dilute samples using the same diluent as the standard curve. Use a range of concentrations of the sample. Use the most specific antibody available. Use a more specific ELISA, such as a sandwich ELISA. Try an antibody that recognizes a different epitope. Make sure wells are completely blocked by incubating with an appropriate blocking buffer for the specified time. Optimize the blocking and washing buffers to make sure they are compatible with the antibodies. Increase the salt concentration or add detergent to the washing buffers. Too much antibody or use of the wrong secondary antibody in an indirect ELISA can lead to overall high background. Titrate all antibodies to determine the optimum working concentrations. When performing an indirect sandwich ELISA, make sure the detection antibody does not recognize the capture antibody. Splashing between wells can cause mixing of samples between wells. Use sealing film or tape to cover all wells during incubations. Poor substrate or improper use of substrate can lead to high background. Do not use expired substrate. Store substrate correctly (some kit components require different storage conditions – separate components and store individually). Make sure the substrate is colorless before use. Deteriorated substrate will have a tinge of color. Optimize the incubation time with substrate. If required, add stop solution immediately when reaction reaches desired color. Add stop solution efficiently to each well. Run assays at the recommended temperature. Do not run assays near heaters or vents or in direct sunlight. Include blocking reagent in wash buffer. Include detergent in wash buffer. Prime plate washers with correct wash buffer. Increase wash time and number of washes. Excessive incubation times can increase background. Optimize all antibody and substrate incubation times. Microbial contamination of reagents and equipment can lead to high background. Make sure water is not contaminated. Prepare blocking and wash buffers fresh. If using an automatic washer, clean lines regularly to prevent contamination. Accurately prepare the stock standard. Spin vial of unconstituted standard to collect everything on the bottom of the tube. Reconstitute according to the manufacturer’s instructions. Aliquot standard if freezing and thawing. Make dilutions carefully when setting up a standard curve. Use a fresh pipet tip between samples. Use diluent compatible with assay. Use same diluent for standard curve and when diluting samples. Use a standard curve that covers a range of concentrations appropriate for the unknown samples. Avoid generating bubbles when pipetting samples. Bubbles in wells will affect readings. If the substrate requires a stop solution, read the plate immediately after addition of stop solution to all wells. Photo courtesy of Viven Rolfe.